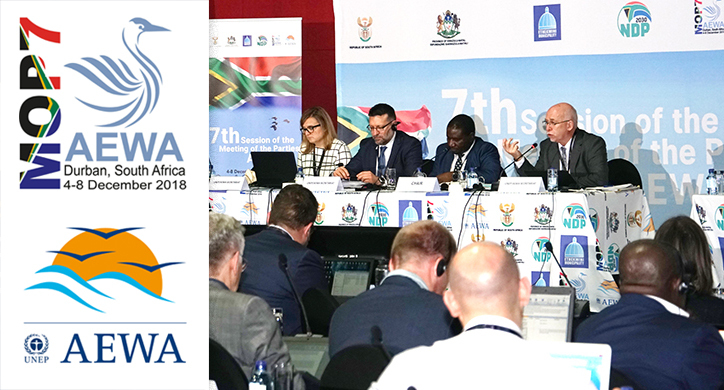 The future of European and African waterbird conservation was decided this week (4-8 December 2018) in Durban, South Africa. 78 parties attended the 7th Meeting of Parties (MoP) of the African-Eurasian Migratory Waterbird Agreement (AEWA) decided on several important developments for waterbird conservation and management, including for Europe’s huntable waterbirds. FACE, the CIC along with national hunting associations, BASC (UK), FNC (France) and the research institute OMPO were present to contribute to discussions on the future of waterbirds. Every three years, AEWA examines the population status of all the waterbird species listed in the Agreement. Their population status determines their legal status in AEWA. Important for hunters, whether they can be hunted or not. The latest assessment shows that the population status of many huntable and non-huntable waterbirds has deteriorated. Big concerns at this meeting for the hunting community included the Common Pochard and the Eurasian Oystercatcher. For the future, it’s important that international action plans are developed for these (and other) species to restore their populations and the sustainability of hunting. Not only declining species need international attention under AEWA. At the last MoP, AEWA decided to devise management plans for the abundant Greylag and Barnacle Goose. This has been facilitated by the European Goose Management Platform, established in Paris in May 2016. Monitoring showed that their populations have been increasing dramatically. This is causing increasing conflicts in many countries, in particular with agriculture and air safety, but also for biodiversity. The governments, in particular the EU countries, saw a clear need for international coordination to manage these species. Their different legal status in the European Union (EU) and the novelty of international management made these plans challenging to develop. Today, the MoP has adopted the plans by consensus. However, European hunters are very disappointed to see that certain countries will not implement the plans. This could significantly reduce the effectiveness of the international coordination. The AEWA strategic plan for the period 2019-2027 was developed to guide AEWA, its parties and stakeholders in the implementation of the agreement. It prioritises certain actions according to the needs of conservation/management and available resources. 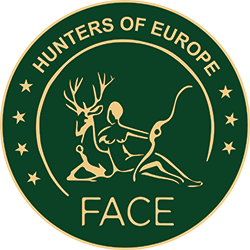 For the European hunting community, there are very relevant actions in this plan. For example, AEWA will facilitate international coordination for declining quarry species and conflict-causing species, on which hunters can take a lead. It will also identify problems regarding habitat conservation and implement actions to address these problems. During the meeting, it became clear that many countries see the need for concerted action on the conservation and management of waterbirds. It is therefore disappointing to see that many parties are not able to meet necessary increases in AEWA’s budget. This will severely impact the implementation of an ambitious, but much needed, strategic plan. The next AEWA MoP will take place in Hungary, in conjunction with World Hunting and Nature Expo in 2021. 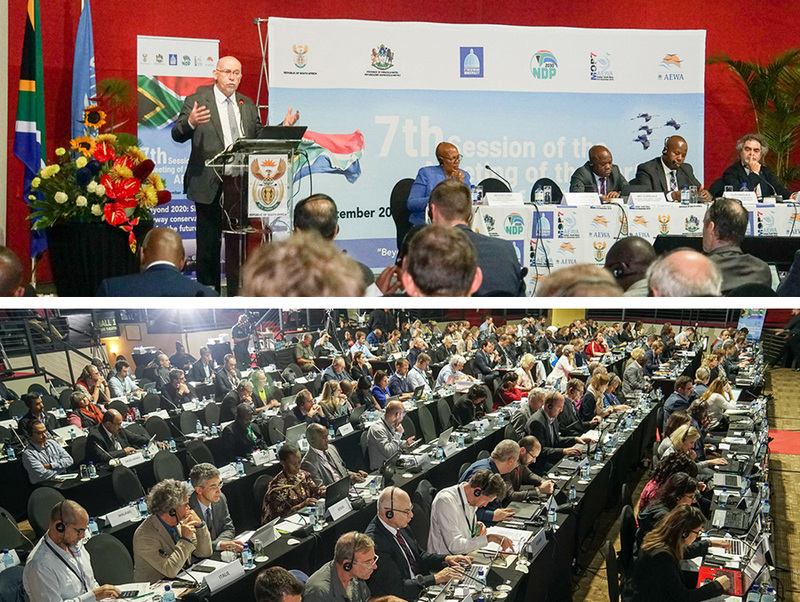 During the week-long conference, FACE played a key role in four side events where discussions took place with governments and stakeholders: Incentivising habitat conservation for waterbirds; combatting the illegal killing of waterbirds; promoting the Flight of the Swans initiative, and addressing concerns about lead in ammunition, with a focus on phasing out the use of lead shot over wetlands. Over the past years, there has been a lot of action on the topic of lead in ammunition. FACE and the CIC support AEWA’s policy to phase out the use of lead shot over wetlands. However, there are still concerns about the lack of implementation of this policy in several AEWA countries.